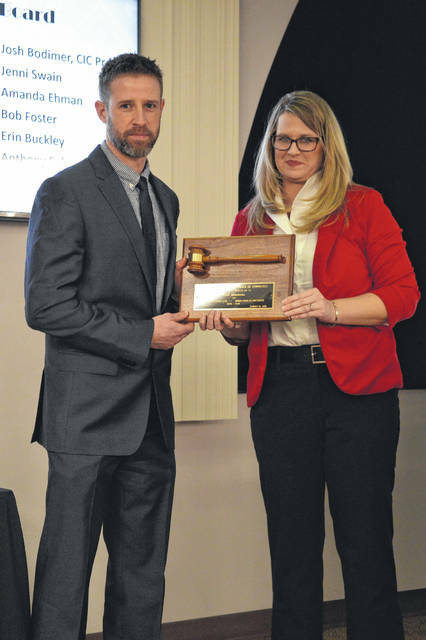 Josh Simmons, left, is recognized for his service as the Chamber’s immediate past president with new Chamber President Meagan Matura at right during the Gallia Chamber of Commerce’s 81st Awards Ceremony Thursday at Bossard Memorial Library. From left to right stand Gallia Chamber of Commerce immediate Past President Josh Simmons, Rio Grande Mayor Matt Easter, Jennifer Harrison, Ladonna Day and Bridget Dodson. Rockets over Rio was chosen as the Chamber’s Committee of the Year. Standing left to right, Gallia Chamber of Commerce immediate Past President Josh Simmons, Brandi Guinther, Guy Guinther and Chamber Board member Anthony Sola. Guinther's Custom Cuts was chosen as the Small Business of the Year. 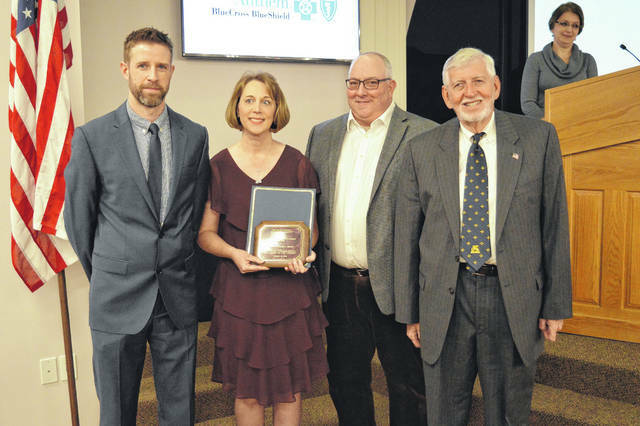 The Gallia Chamber of Commerce’s Sudden Impact Award was given to the Field of Hope’s Hope House. Standing left to right are Gallia Chamber of Commerce immediate Past President Josh Simmons, Loralee Carmichael, Chamber Treasurer Jenny Evans and Vinton Baptist Pastor Heath Jenkins. 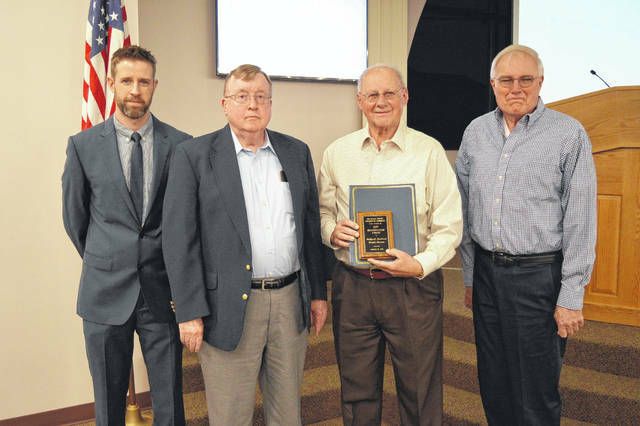 From left to right stand Gallia Chamber immediate Past President Josh Simmons, Gallipolis Railroad Freight Station Museum Board members Bob Schmoll, Jim Love and Jerry Davis. The museum took home the Chamber’s Beautification Award. 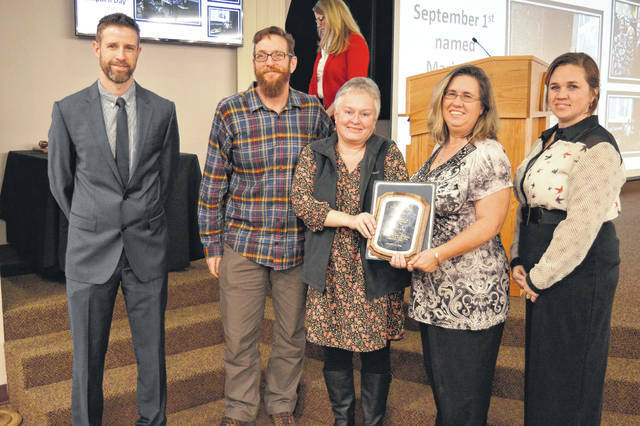 Bossard Memorial Library was awarded the Gallia Chamber’s Community Involvement Award. Standing left to right are Gallia Chamber immediate Past President Josh Simmons, Library Director Debbie Saunders and library trustees Robbie Jenkins and Jay Caldwell. 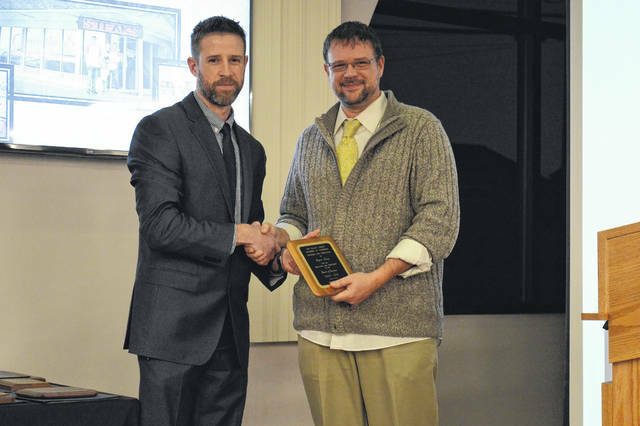 Bossard Memorial Library was awarded the Gallia Chamber’s Community Involvement Award. Standing left to right are Gallia Chamber immediate Past President Josh Simmons, Library Director Debbie Saunders and library trustees Robbie Jenkins and Jay Caldwell. The Chamber’s immediate Past President Josh Simmons honor previous Past President Bryan Long with an award of appreciation for his service. 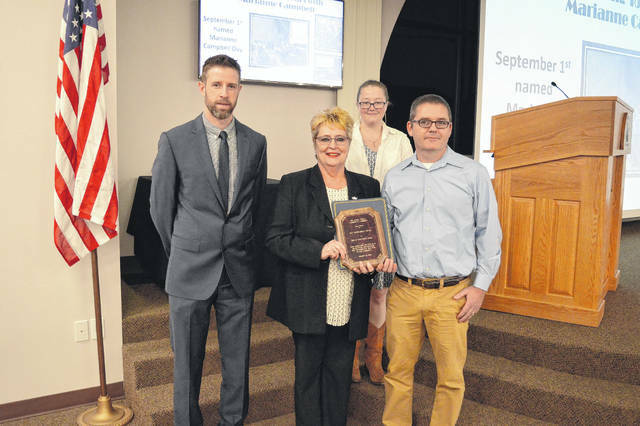 Bossard Memorial Library was awarded the Gallia Chamber’s Community Involvement Award. Standing left to right are Gallia Chamber immediate Past President Josh Simmons, Library Director Debbie Saunders and library trustees Robbie Jenkins and Jay Caldwell. 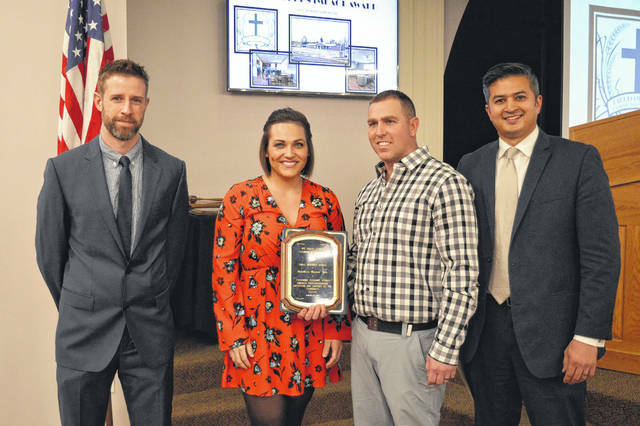 Standing left to right, Gallia Chamber of Commerce immediate Past President Josh Simmons, Brandi Guinther, Guy Guinther and Chamber Board member Anthony Sola. Guinther’s Custom Cuts was chosen as the Small Business of the Year.